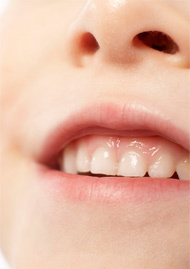 Fillings for Baby Teeth? | Eastern Long Island, NY | Joseph F. Sciotto D.M.D. At Joseph F. Sciotto D.M.D., we believe that it is always best to save a tooth rather than to pull it. When you pull a primary tooth, the other teeth can shift, closing the space that needs to be maintained for the permanent tooth. Please feel free to call us to discuss any concerns you might have about your child’s teeth and to schedule a pediatric dental examination and cleaning. At Joseph F. Sciotto D.M.D., we care deeply for our youngest patients and we cater especially to their needs.